With their day job on hiatus, Animal Collective members have been keeping busy with an interesting array of solo work. Along with the highly anticipated new Panda Bear record, Tomboy, due this fall, we can now add Avey Tare to the list of AC members gone solo. The Animal Collective vocalist (born Dave Portner) has revealed the details for his first solo long-player, dubbed Down There. As Pitchfork reports, the record will be released by the band's Paw Tracks imprint on October 26. It features nine songs and was recorded with Portner's Animal Collective bandmate Deakin (nee Josh Dibb). While the album's not coming out under the Animal Collective banner, animals still play a large role, as a press release explains that Portner's "favourite animals are the otter and crocodile [and] the latter has played a big role in his newest record." 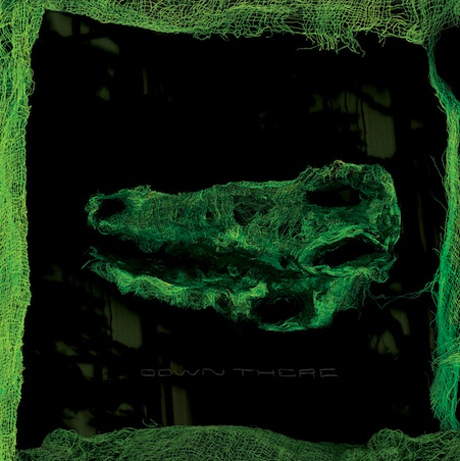 The tracklisting for Down There is available below, while the croc-heavy album art is above. 8. "Heather in the Hospital"